Soaked cashews provide super creamy texture and nutty flavor to this vegan, Indian-spiced soup. Roasting butternut squash in the oven creates a caramelized complex flavor. The broth is flavored with onion, garlic and curry paste, simmered with canned coconut milk and thinned coconut milk beverage for a luscious soup that tastes more decadent than it is. You can top the soup a variety of ways: add a sprinkle of cilantro or a squeeze of lime for brightness, a dollop of unsweetened coconut yogurt or a swirl of coconut milk, or a drizzle of chile oil for extra heat. Serve with toasted naan for a heartier meal. Use your favorite soy or almond milk in place of the coconut milk beverage; just make sure it's neither sweetened nor flavored. Use red or green curry paste to evoke Thai flavors, or the equivalent amount of curry powder for a more Indian taste. Per Serving: 368 calories; 29g fat; 24.2g carbohydrates; 8g protein; 0mg cholesterol; 1006mg sodium. This was a really delicious, creamy soup. The coconut milk was the perfect addition. The curry flavors were also very rich and vibrant! Incredible recipe, I can't wait to make this again. 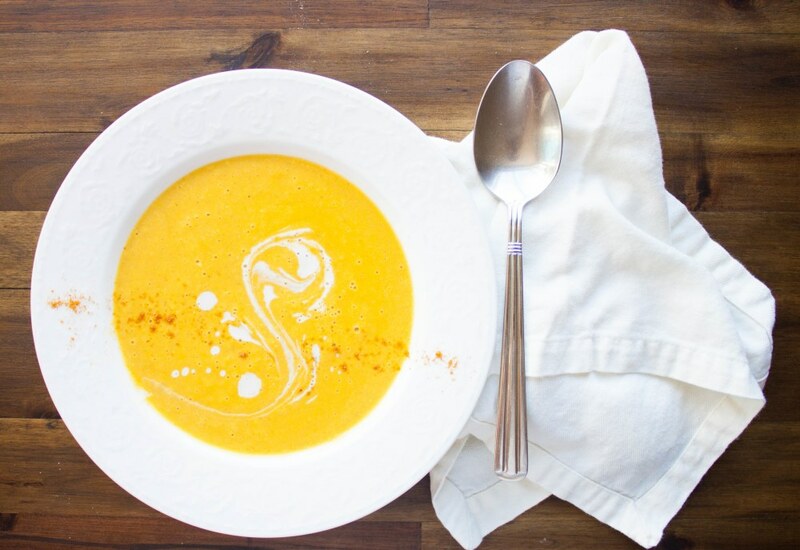 I love this soup, the curry paste and coconut milk is the perfect complement to butternut squash. Overall this recipe is creamy and flavorful.